For a sports fan, few times of the year are more exciting than March. For one month each spring, the sports landscape is dominated by college basketball. Millions of Americans feel the “Madness” and fill out a March Madness bracket. 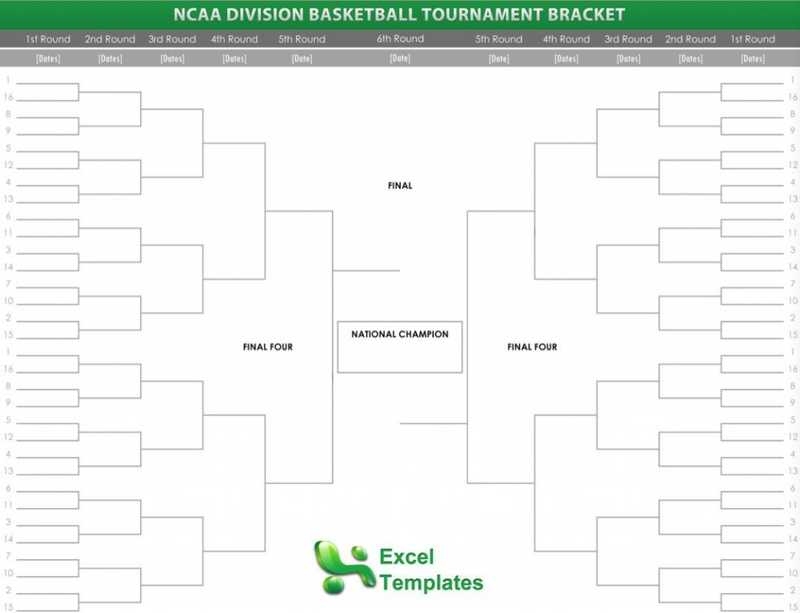 This prognostication process is made much easier with a free printable bracket sheet. Note: The subject matter published on this page is for entertainment purposes only. UCLA has run through the March Madness bracket more times than any other school. The Bruins have won an NCAA-best 11 national championships. Kentucky has captured eight national crowns, while Indiana and North Carolina have collected five national titles apiece. Filling out tournament bracket sheets in March is a yearly ritual for men and women in the United States. People from all backgrounds attempt to pick the winners for all 67 games for bragging rights or other forms of prizes. The ritual isn’t just reserved for hoops fanatics or office pool players. President Barack Obama has filled out a tournament bracket every year since taking office. Celebrities often appear on television and radio programs to offer their opinions. Even the most ardent and enthusiastic college basketball fan can expect to suffer some losses as the tournament unfolds. A professor of mathematics at DePaul University concluded that a fan of college hoops has a 128 billion-to-one shot of picking a perfect March Madness bracket. The odds of someone who knows nothing about basketball picking a perfect bracket are an astounding 9.2 quintillion-to-one.